Promotional products are used to make your brand more popular and recognizable. Think about it: There are so many options available in the market, why should a consumer purchase or use your products? The reason why notebooks, table calendars and pens became popular was because these were once items of daily usage. Now that the cell phones and laptops have taken over, most desks are free of stationary. For this reason, most people think the era of business promotional products has ended. But, that is not the case. In fact, this form of marketing and corporate relationship building is just as important and effective if done the right way. So, we have to think outside of the box. Polo shirts are a good option because they’re used often. A better option though, is fleece jackets. What makes fleece jackets such a good idea? Whether you’re gifting these jackets to customers, clients, partners or employees, you’re telling them that the brand appreciates their role in taking the business forward. Believe it or not, an emotional connection works more than a monetary one will ever do. So, make sure you’re connected to all the people around you, who are equally responsible in making your brand a success! A fancy set of pen or a backpack, will likely cost you the same. But it’s the thought that counts. These jackets can hold a piece of embroidery of your logo to remind them of your long term relationship. Plus, this is something unique, something different. This shows that you spent time in figuring out what the person(s) will like the best and what item will be more useful for them. People often lose pens, even the fancy ones, fleece jackets are too noticeable to hang and forget. Lastly, you want them to enjoy the weather. Some of our best memories are made wearing layers upon layers of warm clothes. When others are sporting their ugly sweaters, they get to enjoy the warmth of a fleece jacket! All the while, your brand is promoted too! So, why not order a new design and let your brand shine through! 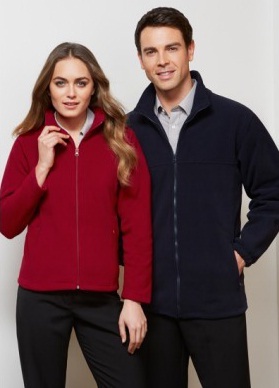 Order promotional fleece jackets in Perth with embroidered logos; we’re sure this corporate gift will earn you long-term partnerships and profits.